There’s been much talk in recent years about the merits of having a benevolent dictator guide the OpenStack Project a la Linux Torvalds and the Linux Kernel. While I don’t want to get into the merits of such an approach in this blog post, I do want to call out that in the absence of a benevolent dictator, the health of the OpenStack project relies on the willingness of OpenStack Foundation members to live up to the social contract that implicitly under-girds the project and the community. A social contract dictates that members of a communities agree to actively come together for the good of the entire community because that ultimately works for the mutual benefit of each member. That commitment to work together for the common good is what allows users and vendors to contribute code to a project despite sometimes competing priorities and interests. What is good for OpenStack ultimately benefits all the members and users even if that means our competition benefits as well. A community built on the premise of a social contract starts to break down if it’s members primarily sees the benefits derived from the project as being a zero-sum game where having winners must require there to be losers. So how do we begin live up to our obligations as part of the OpenStack social contract? Clearly, contributions in the form of code, documentation, money, and time are all valuable. But another way to get involved is by exercising our rights as members to vote on laws to govern the project and to elect representatives. Doing both enable us to implement processes and to give voice to community members that can strengthen the social contract and ultimately the project and the community. We are in the midst of the latest voting/election cycle for the Foundation which ends this Friday, 1/16th, 2015. If you are a member of the OpenStack Foundation have been so prior to 7/20/2014, you have the right and, I would argue, the obligation to vote on some important bylaw changes as well as some new individual members to the OpenStack Board of Directors. The proposed bylaw changes can be found here and I encourage you to think carefully about the implications of voting yes, no, or abstaining. In this case, by not voting at all you may be implicitly voting “no” since not having a 25% quorum will effectively defeat any proposed changes. Another key obligation is the election of representatives to the Board of Directors; details on that election can be found here. It is of utmost importance that members recognize their obligation to elect board members that can best guide the community towards delivering benefits to all its members. If members choose to abstain here, at best we may end up with a project that does not accurately represent the goals and needs of its members. At worst, we may end up allowing small interest groups to gain control of the project who may have their own interests in mind and not that of the wider community. I don’t believe the latter has happened to date but history tells us that as a community grows and its members becomes less engaged, the possibility of factionalism increases and polarization occurs. Unless the members take seriously their obligations as part of fulfilling the social contract. So please make sure you vote. I am a candidate this year but so are many other worthy candidates. You can find them all listed here so take a few minutes to look over each candidate’s profile and carefully consider who should represent you. Please also remember that each member has up to 8 votes that can be dispersed between 1 to 8 candidates, with each candidate receiving some number of votes, determined by the voter, as long as the aggregate amount for all candidates does not exceed 8 votes per voter. I mentioned that I am running as a candidate this time around. Below is the profile I submitted to the Foundation. Ken is a Business Development Manager, focused on helping his team to build out EMC’s OpenStack Solutions strategy. HIs passion is to help IT deliver value to their customers through collaboration, automation, and cloud computing. 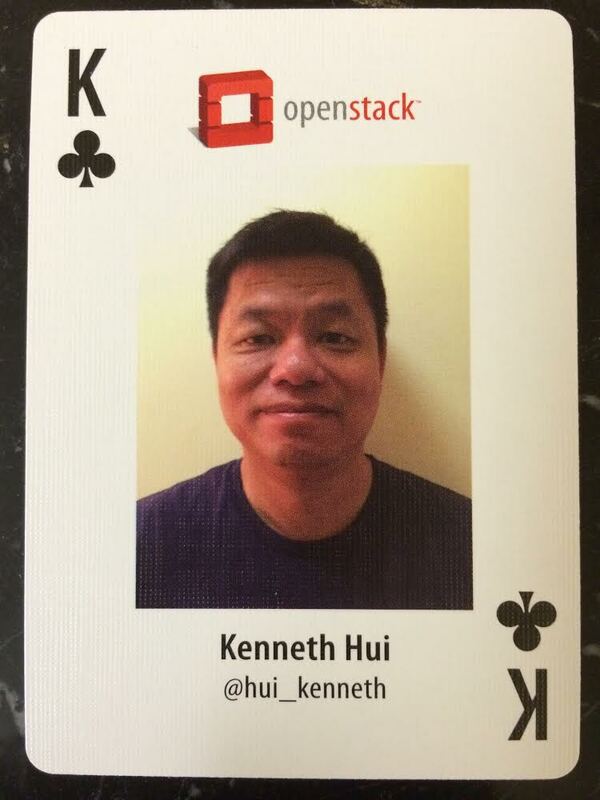 Ken is an OpenStack Ambassador and a VMware vExpert. He blogs about cloud computing, OpenStack, and the EMC Federation at http://cloudarchitectmusings.com. Kenneth is a candidate in the 2015 Board Election . My relationship to OpenStack is multifaceted; I am at once a supporter, an ambassador, a critic, an architect, and a strategist. Fundamentally, I believe in the ability of a community of technologists to innovate rapidly and to create a platform that can help users and vendors succeed. Although OpenStack also has the potential to fail if the community is not able to stay cohesive in working together to build a sustaining project, I believe in it enough to stake my career on its success. The past few years, I’ve devoted 100% of my working life to the success of OpenStack, rather it be a Rackspace and in my current position driving the development of OpenStack solutions at EMC. My biggest contribution to the success of the OpenStack project has been in the areas of technology evangelism and community building. I’ve spoken at numerous conferences, educating users and vendors on the OpenStack technology, including 15 talks over the last 3 OpenStack Summits. I’ve been able to blaze some new trails with tech blogs on topics such as SDS in Cinder and VMware vSphere with OpenStack. The blogs on those topics are still being referenced today by community members. I’ve also been able to help numerous VMware administrators with the transition the OpenStack community through my blogs, talks, and personal tutelage. As a community advocate, I’ve been able to assist in jump starting and co-organizing 3 OpenStack user groups in the east coast. As an official OpenStack Ambassador, I’ve helped other user groups throughout the country as a speaker, as a resource to help with scheduling other speakers, and advising on organizational issues. I was a co-organizer for the new OpenStack Design Guide book sprint and helped to recruit writers from the community. I’ve worked at 1 non-profit organization and served as an advisor for another, both outside the tech arena. In the former case, I was director of a program to equip organizations to teach job training skills to the clients they serve. The organizations we equipped included homeless shelters, drug rehab centers, and neighborhood churches. In the latter case, I advised an organization in Harlem that provided, free of charge, early childhood development classes and resources to families in low-income neighborhoods. The key lessons I learned that would make me a valuable OpenStack Foundation board member is the importance of education, collaboration, and providing strong direction and vision. Any organization and community as diverse as the organizations I worked with and as constituted by the OpenStack community requires constant education of our values and charter. It requires a willingness to listen to everyone and to include as many community members as possible. It also requires the ability and willingness to set a direction for the community even when there is disagreement from some quarters. 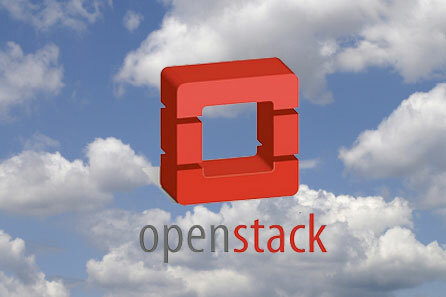 The OpenStack Board is the shepherd of the community but not the benevolent dictator. The Board needs to set the direction of the project, with input from as many members as feasible, but needs to do it primarily through persuasion and education. The Board needs to be able to evaluate what is required, not only for the short-term success of the project, but what must be done to ensure ongoing long-term success. 1) Enabling a product management function to ensure that the growing number of OpenStack projects integrate together to create a cohesive platform. 2) Finalize the Defcore initiative to bring clarity to what constitutes OpenStack. 3) Continue to focus on Operators and their requirements for a usable and sustainable cloud platform. 4) Create new avenues for contributions from non-developers. This includes a mechanism for hearing the voice of the end-user. Next Apache Mesos: The True OS For The Software Defined Data Center? Congrats on all the great pots. Do you mind taking down my congratulatory comment on your new role from your website? We are cleaning up our web presence. IMPORTANT NOTICE: This message and any attachments are confidential, proprietary and intended only for the addressee named above. If you are not the intended recipient, please delete the message and notify the sender. Do not retain, disclose, copy or forward this email. Hunt Lane Capital does not waive any confidentiality or privilege. No representation is made on the accuracy or completeness of information contained in this message. The sender may not update the information in this email. This email does not constitute any solicitation or offer to buy or sell any securities. Hunt Lane Capital does not wish to receive material non-public information. All email sent to or from this address is subject to electronic storage and review by Hunt Lane Capital.